Found a mistake? Tell the author in a private mail. Dear ..., I just found this nice worksheet. Hope you will like it too! The present downloadable worksheet was created for elementary school students at Elementary (A1) level. 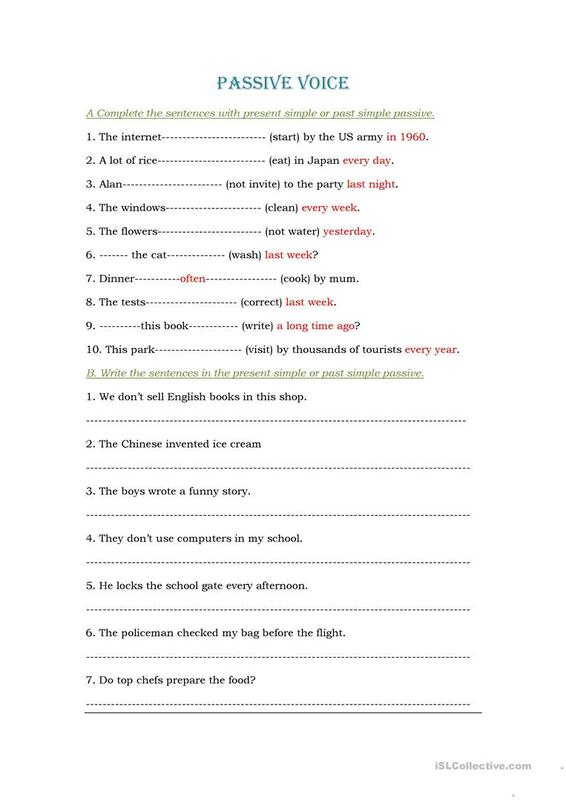 It is aimed at revising Passive voice or active voice in English. jimmakos2003 is from/lives in and has been a member of iSLCollective since 2014-10-16 09:19:20. jimmakos2003 last logged in on 2019-04-04 18:21:53, and has shared 5 resources on iSLCollective so far.